Android is currently the most popular mobile platform in the world boasting of a great number of users around the world. The platform is really very stable, but sometimes due to installation of some third party applications and granting root access to some application, your device can become unstable. Sometimes you find it very difficult to uninstall this applications or you may even be unable to use or boot your device properly due to this applications. The best method to uninstall such application and also the best way to know if any third party application is the cause of the instability of your device is to boot your device without them. The act of booting up your device without any third party application is called as safe mode. 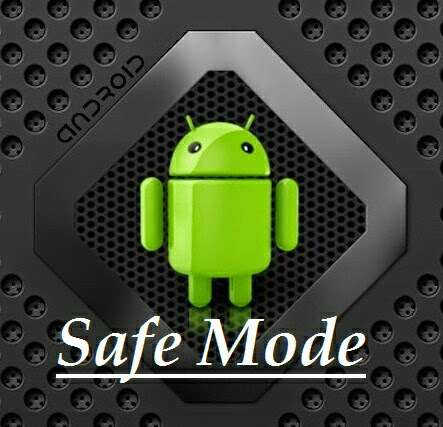 Today am gonna be taking you through different methods of enabling safe mode on different devices. 2. Turn on the device by holding both the power button and volume down key. 3. Release the power button once the device turns on and continue holding the volume down button. 4. Wait until the device is fully booted and you can see safe mode displayed by the side of the screen before you leave the vol. down button. 1. Press and hold down the physical power button on your device until you see a pop up menu. 2. In the pop up menu, long press the “power off” option. 2. Power on your device while holding both your volume up and down buttons. 3. Release the power button immediately your device turns on while still holding the volume up and down buttons. 4. Wait until the device is fully booted before releasing the volume buttons, now you should see safe mode by the side of the screen. If none of the methods above worked for you, just drop your device model in the comment box below or you contact your device manufacturer. N.B: In safe mode you won’t be able to use any third party application, but you can uninstall them by going to settings>applications, select the application you want to uninstall and uninstall it.